So what is this book about? Well, the book covers everything a traveler to India would want to know from what to wear to what foods to avoid. I have covered everything. For instance, walking around the historical monuments of Delhi, I see lots of foreign tourists inappropriately dressed for India. Some tourists wear very heavy clothing and in a climate like that of India’s, it’s just not a good idea at all. I have included two chapters on clothing both for men and women. Another issue that I often see with foreign tourists is that they get very upset and simply do not know what to do when they encounter beggars. This is understandable. Nowhere in the world have I seen beggars in such larger numbers and in such deplorable situation. Beggars are a fact of life in India and we as Indians are pretty much shameless and pretend that they don’t exist. However, in the last decade, large numbers of people have been lifted out of poverty thanks to the decent rate of development. Beggars do exist but many of them are in fact opportunists and not therefore genuine beggars. Many beggars are aware that foreign tourists will most likely dish good amount of money and therefore are most active at tourist locations. I have included a chapter on how to deal with them. Food is another cause for concern for tourists. Most tourists have no idea if they should be trying street food or not. I have a chapter on street food. There is no doubt that travelling to India is very much about trying various varieties of food India has to offer. In fact, most Indian food available in so-called Indian restaurants in Europe and USA are Bangladeshi and Pakistani curry outlets and do not even cover a fraction of Indian food. In fact, they don’t even sell genuine Indian food. There is more to Indian food than just about eating curry chicken and tikka masala. When tourists do some, they don’t know what’s best for them. Sadly, they succumb to a phenomenon called “Delhi Belly” (traveler’s diarrhea) which simply means upset stomach after eating unhygienic food. I have included several food related chapters particularly on street food and foods to avoid when in India. Many tourists end up paying unfairly huge amounts of tariff to taxis and auto-rickshaws. I have included a couple of chapters on transport, one of which is about Indian taxis. Another chapter which I think will be useful to a traveler is how to book trains tickets in India. Booking train tickets is very confusing and most tourists have no idea how do it. This chapter shows how to do just that. I have also included how to secure luggage and general safety on Indian trains. I have also a chapter on what to bring to India. Although one can buy everything in India, there are some things a traveler should bring their own to make life easier. They can find out what those items are this in chapter. I have also included a few chapters on travel safety. These include safety on trains, safety at hotels, safety for women, health related issues and how to choose drinking water in India. In addition, there’s a chapter on how to keep money and passport safe. Money and passport are the two are the most important things a traveler must take care off. Loose any of them then they are stranded hence it is extremely important to look after them. I have gone through some interesting tips from my own person experience. Travel touts are a menace in India. They won’t leave you alone. No matter where you go and what you do, you will find them everywhere from monuments to taxi stands. I have incorporated a chapter on how to avoid and deal with these travel touts and save the traveler money. India is shopping paradise. I have been to many countries around the world and no where I have enjoyed shopping then in my own country. In India, we have all sorts of shops to cater for all depths of pockets. I have shopped in all sort of places – from expensive malls and bought cheap clothes from the road side vendor. It’s amazing what you can buy in India. There are a couple of chapters on where to shop and how to bargain like the locals. I have also included some words, phrases and sentences that a shopper can use to communicate with vendors. 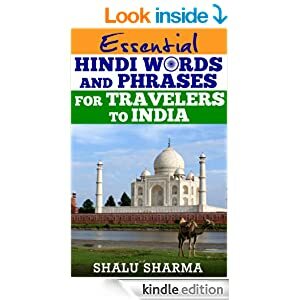 I have also included common Hindi words and phrases a traveler might need in India. But for a more comprehensive this traveler’s Hindi book would be ideal. All of these have been compiled from my own personal experience, travelling in and out of India and meeting lots of foreign tourist on the way. In addition, this is perhaps one of the most comprehensive of all travel guide books to India. Many of the travel books do not even cover the surface of what I have covered in the book. This is certainly not a gloss-over like some of the other India travel guide books. I think this is perhaps the best travel book on India one can buy. I hope would-be travelers would find this book useful. 11. How to deal with the heat? 14. How to keep off mosquitoes? 16. Is meat and fish safe in India? 20. How to book train tickets in India? 21. How to hire a taxi and auto-rickshaw? 25. How to deal with touts? 26. How to be safe at the hotel? 27. How to be safe in Indian crowds? 28. How to keep your money and passport safe? 33. What should women wear? 34. What should men wear? 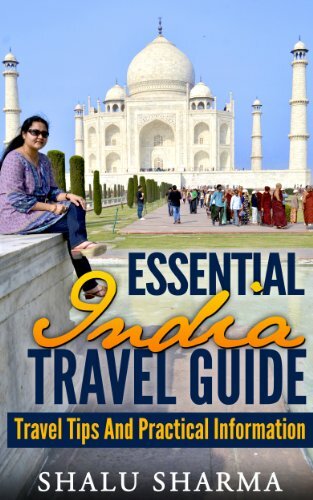 “Essential India Travel Guide: Travel Tips And Practical Information” is available in all Amazon stores. I have priced the book moderately cheap to differentiate them other overly priced Indian travel guide books available on the market. Mobile Recharge App Review: Which App Should You Choose? Time for celebrations and congratulations! I wonder how you find the time to write all these lovely books, with the number of blogs you manage – awesome indeed. With all that is covered in this book, it’s surely going to be a huge hit with the masses. 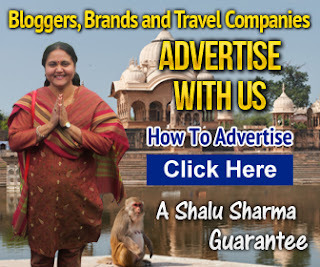 I loved the cover photo with you sitting in-front of the Taj – apt! Thank you for your wonderful words. I try my best. I was working on this book for sometime. I am glad you liked the cover of the book. I was there in November, just a few months back. I am glad to know that the person like you who has a lot of followers outside India promoting tourism in the country. 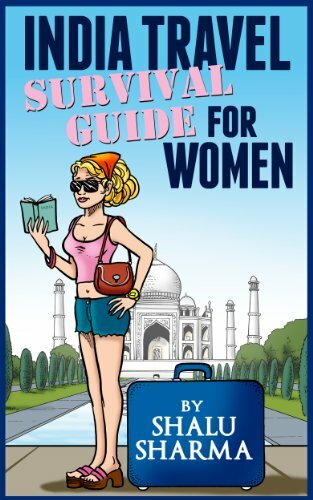 I am sure this book will prove quite useful guide for experience India to the fullest. I would like to know if this is your first book? No, this is not my first book, if you read the post then you will know that this is not my first book. Thanks for your comment. Well Congratulations on your book! When I meet people who travel to India, there are so many questions they have. This book has to be a must read! And for those of us who are not planning to travel, I’m sure it is interesting to know about. Thanks Donna. A bit of preparation is required when travelling to India and this is where the book will be useful. Thanks for your comment and spreading the word. Congratulations are definitely in order Shalu and well done. It’s available on Amazon in both the kindle and paperback format. Wow, that’s so cool. I can’t believe everything you’ve covered here and I don’t doubt some of the questions people have when they visit India. Looks like you have them all covered though and a must read for anyone who wants to visit. Way to go and I’ll spread the word for you as well. Again, congratulations. I have tried to cover most if not all the issues faced by the traveller to India. Thanks for spreading the word Adrienne and your wonderful comment. Thanks for sharing this. I really like how you love to promote your country. India was great place to visit. Wow, another one, Shalu? I’m sure it will be another huge success! Looking forward to read it! Thank you for your kind words Aleah. Still reading your post to know about the great places to visit in India.. Congrats for your ebook.. I am glad you like it Himanshu. Hope to you again. Glad to know that you have published your new book about India Travel Guide. Topics that you covered in this book, those are very informative for all the travellers. These are the very topics visitors to India have issues with. Thanks for your comment Sirmanta. Glad to see an India travel guidance by an Indian lady. You are really doing good in field of blogging. Love to read your stuff. Thank you so much Shalu. I am always in a confusion when it comes to travelling because I do not know where to head for a greater travel experience. It is going to act as a guide for me. I am glad that you have come with the revised guide.This book will surely help outsiders who are not aware of the inside out of India.This book covers several do’s & don’ts when you are travelling across India. Congrats Shalu. I believe many will buy it. Indian culture, delicacies and dance is one of the main thing which pull me to come visit. And since not everyone who can come and go through all the post like we do then they will find it on Amazon. This is a great achievement. India is one of my favorite places. I have visited Delhi, Mumbai, Pune, Chennai, Bangalore, and Kolkata is like my second home. This will help me a lot.